Welcome to both the new year and a new decade. Nutritionally speaking, we have much to look forward to, so it’s time to focus on the positives and leave the “bad” in the past. 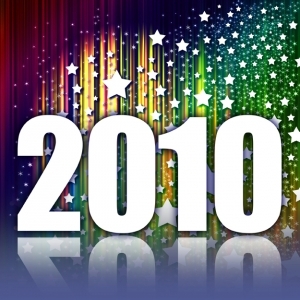 Here are some food and nutrition messages you might want to focus on in 2010. 1. The D’s have it. DHA (an omega-3 fatty acid) and Vitamin D have taken the nutrition spotlight with good reason. Most Americans need more of both for many health reasons, from simply maintaining health to preventing Alzheimer’s, heart disease, osteoporosis and certain cancers as well as treating depression, dementia and macular degeneration. 2. Brown is the new white. Whole grains are everywhere – breads, cereals, pastas, rice and even beloved “Goldfish” are made with whole grains. This switch away from refined white flour is simply smart. 3. Fats are fabulous. Consumers are buying more “good fats” like olive oil and canola oil and all-natural peanut butter. Meanwhile, food manufacturers are slowly removing the “bad” trans fats. It’s all good! 4. Stores go simple and local. Most large grocery store chains are offering foods grown locally and clearly labeling them as such. Look for them. 6. Cheap and good are not mutually exclusive. Low cost, high-quality foods are in. Stores like Trader Joe’s and Target have “cheaper” brands that offer many healthier foods, including organically-grown varieties. Don’t equate lower prices with lower quality. As consumers’ demand for healthy foods and accurate nutrition information increases, nutrition experts and food suppliers are working to deliver the goods. Positive nutrition is coming your way in 2010. Happy New Year!